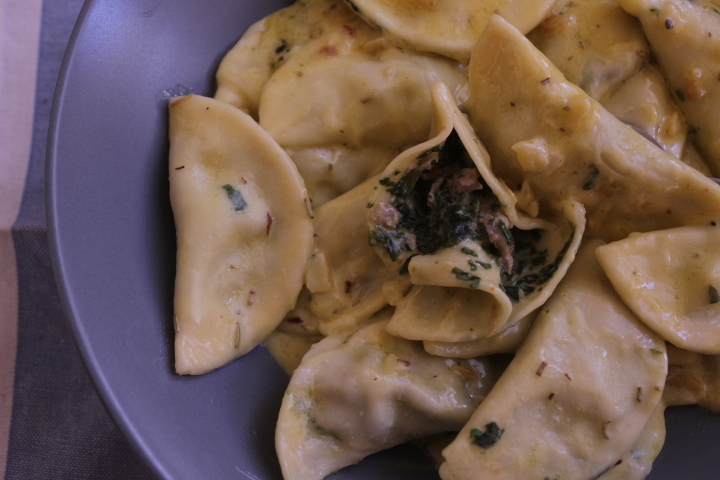 Homemade Lamb and Spinach Ravioli – Lamb Loves Thyme.. So I’ve had a pasta machine for four years, I was so intimidated by using it that it just stayed in the box until I asked a chef friend of mine how to use it. I’m so excited now because wow, my first attempt was quite good!! I’m so embarrassed cause it was so easy to make! Mix together and knead until it forms a smooth dough, then cover in cling wrap for at least 30mins. Once it’s ready to to be used, you have to put it through each setting of the machine and roll until it’s super thin. You can also do this with a rolling pin. Mix everything together to form mixture that’s held together nicely. 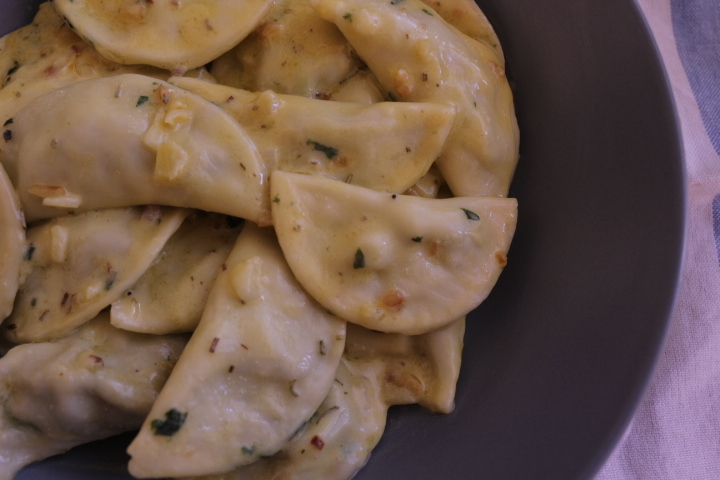 I used a cookie cutter because I didn’t have a ravioli cutter, make the entire edge wet with a little water, scoop a little mixture in and either close in half for a moon shape, or cover with another sheet of pasta for more traditional style. Cook In some boiling salt water until it rises to the top, and it’s cooked. I finished it off In a garlic, rosemary and cream sauce. 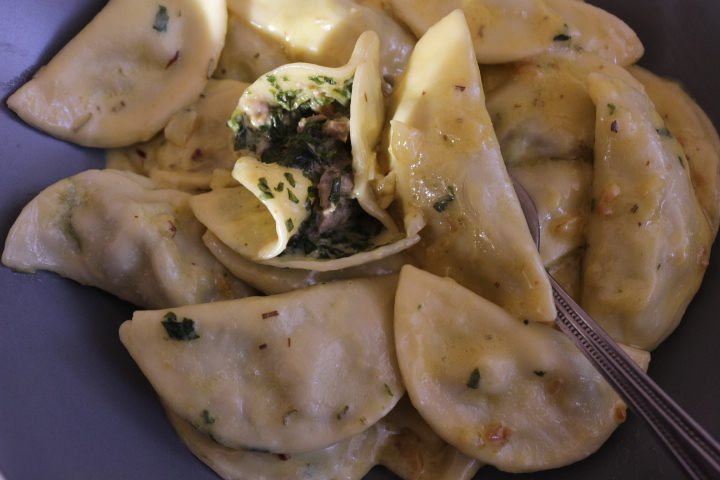 Just finely chop a few cloves of garlic, and add to some butter, add your rosemary and then add your pasta, let it fry in the butter sauce for a few secs and then add a cup of cream, let it bubble till it reduces! Serve warm with some white wine.. enjoy! Previous Post Yum Yum Peanut Butter Giveaway! !